As my companions and I drove slowly around the estate, passing the 17th Century pigeon house that stood as a portent of what had brought me to Château Lagrézette, I took a good look around me and this truly magnificent place: the 16th Century château, with its four round towers and elegant shape, the woods that surround it, the location—everything was pretty much picture-perfect. 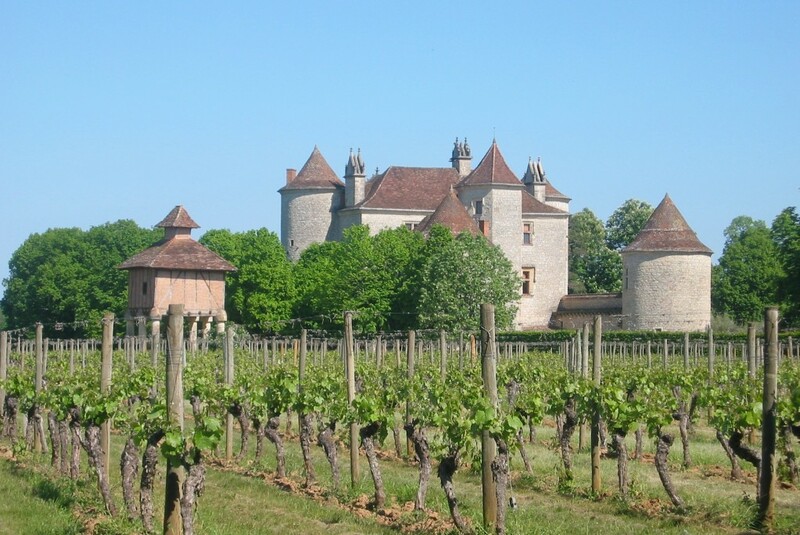 Vines surrounding the 17th Century pigeonnier (pigeon house), seen on the left of the Château itself. After three transferring flights between Quebec City to Toulouse, a long wait, and a long taxi ride from Toulouse to Cahors—as well as some confusion about the room at the hotel—merely taking a look at the château and its surroundings, the private residence of Alain Dominique Perrin, restored me to excellent spirits. I felt just great as we got ready for what we have dubbed the Lagrézette Challenge, a re-tasting of the 1999 Pigeonnier following my rather negative review of the wine published in Palate Press in February. Nick Gorevic, blogger at Home Wine School, and Eve Resnick, who has worked on bringing American bloggers to Malbec Days, came along to take part in the tasting. We were brought to the Château by Jean Courtois, the estate’s general manager, who had issued the invitation and challenge to re-taste Le Pigeonnier. ‘Smells like a cedar box. Dark, dense. Blackberry, maybe? Tough tannins. Dry. Rough. Only wood, with a mentholated finish.’ And that’s it. Around the table the displeasure was unanimous. Nobody found anything good to say about it. A friend summarized it as ‘a whole tree, with a single cherry in it,’ to approving laughter. Your condemnation of our wine and the people involved is so intransigent! It looks like a settling of old scores with Lagrézette, Mr. Perrin, Mr. Rolland, and Mr. Parker…Anyway, let’s not start a polemic. Mr. Perrin and I, invite you to come to Château Lagrézette at your earliest convenience for a blind tasting of a few different wines including Le Pigeonnier. We would of course pay for your air plane ticket if the results of the blind tasting confirm your previous written comments about Le Pigeonnier 1999. As the four of us headed towards the chai, an above-ground cellar dug into the hillside in 1992, we listened to Jean Courtois as he described the estate’s workings and general philosophy. He pointed to the qualitative goals they had been seeking when Perrin decided to return the estate to wine production, and described the white wines made in tiny amounts by the estate at a relatively cool vineyard near the town of Rocamadour. He also outlined the goals behind a new 20-hectare vineyard that they have just replanted with malbec and that will become an additional source of fruit for Lagrézette wines. The whole story told of a place with precise ideas about what it wants to do, and a clear general outlook on its production, style and objectives. After we stepped into the cellar and joined cellar master Cédric Blanc, Jean Courtois insisted on the fact that the estate is “looking for finesse and elegance” in the wines it makes. And as he and Cédric discussed the various cuvées produced by the Château, Courtois pointed out that the these fit into a general plan of which Château Lagrézette is the centerpiece. 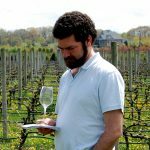 “Every vineyard does its own balancing act, and we have our own at Lagrézette,” concluded this man from the Rhône who worked in the wine business in the United States for several years before joining the Lagrézette team some 15 years ago. Walking up to the winemaking area, where large tanks were lined up in rows, we stopped in front of a large oak fermenter. This was the very one where the wine of contention, Le Pigeonnier 1999, had been fermented. 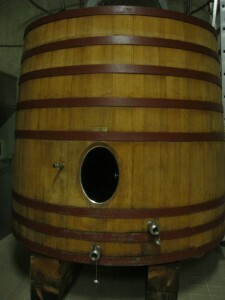 The fermenter, Courtois said, was brand new in 1999, which surely imparted a big layer of oak to the cuvée (for more on oak fermenters, please see Oak – its uses and abuses, by Jancis Robinson). It was at this point that both men insisted on a take I hadn’t heard so far about Le Pigeonnier, that biggest and boldest of the Château’s wines. It should not, they said, be seen as the estate’s main focus or ultimate goal. 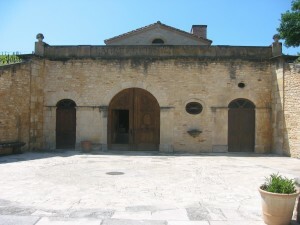 The main project at Lagrézette, explained Courtois, is to make Château Lagrézette, not Le Pigeonnier: “Château Lagrézette is not the second wine of Le Pigeonnier, and Le Pigeonnier is not a vin de garage. It is one vineyard that allows us to gain knowledge.” In other words, rather than an attempt at the be-all-and-end-all Cahors, Le Pigeonnier is a particular experiment for Lagrézette, a specific take on the grapes and terroir. They are doing the same with the cuvée Dame Honneur, a less extreme reserve cuvée: 25 to 30 hectoliters per hectare instead of 18 for Pigeonnier, and 24 months in new oak instead of 28 to 30. My feeling is that this may be true today, but at the time the first Le Pigeonnier was made, it was showcased in a big way to demonstrate just how far Cahors could go. The wine’s pricing, at 90 euros, is a factor of production costs, yes—but it is also a statement in itself. Showing barrel samples to Robert Parker at the time cannot have been done as an afterthought or just to say “look at our little learning experience.” Le Pigeonnier was built to make a mark, and it did. Whether that is positive or negative is another matter. After walking through the three-level winemaking facility, with the barrel room on the first level, the winemaking area on the second, and the grape management area on the third, we walked along a long tunnel that links the winery to the residence area and entered a small tasting room set up under medieval stone arches just below the château itself. The wines were served from the bottles, opened just before we got there. The full tasting notes and the process are given below, so I won’t list them here, but the four Argentine Malbecs and the four different Lagrézette Malbecs we tasted showed an interesting range of aromas and flavors and styles, with some relatively elegant wines and some extremely massive ones. By chance I wound up tasting Le Pigeonnier 1999 first. Although it didn’t appear, at first, as the oak monster I had tasted previously, the fruit did fade away quickly and the tannins grew more and more present and drying as the wine evolved in the glass. All those impressions were noted down before the identity of the wines was revealed. There was another Pigeonnier in the line-up: the 2001 vintage. It did feel better than the 1999, although the tannins were covering up much of the wine there, too. I found the wine to have more going on, but wrote “oak and tannin win the day.” Could that one evolve to a more supple, integrated state? Maybe. The fact that the fermenter was being used for the third time certainly reduced the oak character, and Jean Courtois described the 2001 vintage as one of the very best made at the Château (all cuvées included). In the case of the 1999, however, my answer and aging potential remains firmly no. Alcoholic heat, sharp tannins were at the heart of what I wrote down, and it didn’t seem to have the stuffing to go on improving. So in the end, when I reread my notes, I can say that I didn’t like the wine once again, and that my general impression remains the same. That wine was an experiment carried too far. Does that warrant a reimbursed plane ticket? I’ll leave that in the hands of Monsieur Courtois, whom I enjoyed meeting, and who was as courteous as his name states. When I shook hands with Jean Courtois and we parted ways, I wasn’t exactly sure how to articulate what the tasting had actually meant. Though the wine itself had clearly not gone from zero to hero, I was trying to make sense of what the tasting, overall, was saying about Lagrézette as a winery and about malbec in Cahors and Argentina. That wasn’t immediately clear to me. 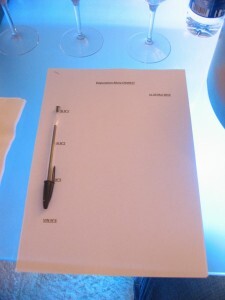 The tasting that evening that officially inaugurated Malbec Days started to provide me with some clues. As I went from winery to winery, tasting the various cuvées, going from the “ordinary” wine to the top reserve, descriptions almost invariably concentrated around increments of oak usage. Something like 12 months for the regular, 18 months for the first reserve, and 24 months for the special edition or selection or whatever they called it, again almost all new oak at the top level. If you insisted, they might offer that the wines were slightly older, or give an inkling about terroir, but the main statement, in most cases, was about the way the wines were aged. On Friday morning, we tasted another “top” Cahors, Graal Sanctus 2007 from Les Roques de Cana, a bottle priced at 86 euros, with 20 hl/hectare yield and 24 months in new oak barriques. 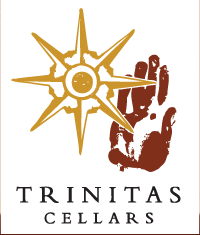 It is modestly described on the winery website as “the accomplished expression of a wine that symbolizes life after death and bears witness to the resurrection of Jesus Christ.” Modest, isn’t it? The wine was harsh, featuring huge tannins that just instantly dried the mouth and made everything else disappear. It was an extreme case of what I—and other bloggers I tasted with, like Nick Gorevic or Joe Roberts of 1WineDude—regularly found in the top cuvées of Cahors. And not something that we appreciated much. I have to say that by comparison, the Pigeonnier wines looked almost like models of elegance. But clearly, that wine and the statement it made generated a lot of imitators, and from what I can see, the effects of that imitation process have not been kind to Cahors wines and the malbec grape. Indeed, the malbec grape can have beautiful floral aromas, a tasty, juicy, mouthwatering quality that I found in moderately oaked cuvées and especially in wines that were made using no oak at all. That is the kind of wine that I would be looking for, preferably. I will have more to say on that subject on a next post about the Malbec Days event. But as a certain writer once said, that’s another story. Here are the raw tasting notes (slightly edited for coherence) that I jotted down during the blind tasting of eight wines in the tasting room at Lagrézette. The wines were tasted in the following order from the proposed line-up put together by Cédric Blanc, the maître de chai, along with Jean Courtois, the estate’s general manager: 2, 5, 1, 2, 4, 6, 7, and 8. I then tasted through the all wines again from 1 to 8, adding some notes (in italics) in some cases where the wine seemed to have evolved significantly. Garnet, fairly clear color. Autumn leaves and blackberry with a little spice on the nose. Intriguing and inviting with interesting little herbal touches, and something like rootbeer. Concentrated, a little rare meat character, blackberry with the herbal touch, well-balanced, good length, a little heat at the end, but well-integrated. Oak? Can’t feel it. A little orange on the edges. Bouillon cubes, iodine, earth, secondary and tertiary notes, a little vanilla coming back over time. Midpalate is soft, tannins a little dry, leather, tobacco, lacks a little tonus, pretty finish, aromatic, but a little hot. Oak up front, ripe and slightly jammy fruit, a little tobacco, clear ruby-garnet colour. Tannins fairly fine but quite present up front, alcohol heat bothersome. Second taste: fruit has gone, replaced by some olive, ink. Tannins more and more present. Ruby, deep colour. Dark cherry, baking spices, fairly compact nose, a little herbal with pastry emerging more and more. 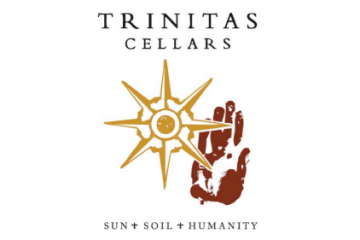 Lots of tannin, compact and close together with pipe tobacco and cherry flavors. A little short, not very expressive on the finish. Tannins masking, don’t like it much. Nose very much all fruit, with sour cherry candy character and some cinnamon candy too. So New World. Probably acidified. Black fruit, good weight and length, but lacks harmony and complexity. High-octane wine. Black like ink, with fuchsia overtones. So thick the color sticks to the glass. Floral elements, fruit compote, very deep and full on the nose with an oaky overlay. Lots of stuff going on. Oh boy, so much tannin on the mouth. Tiring, like wild cherries on the teeth. Tannins are masking, but jammy fruit comes back on the finish. Deep, concentrated nose again. Color ruby with peony. Oak, spice, a little smoky and meaty. Interesting but not necessarily pleasant. Oak on the mouth, substantial tannins, very ripe, sun-drenched fruit. Tannins covering the wine, hot finish. Lacks depth and expression. Second taste: nose better, more integrated. Nice legs. Ink black, but with dark red overtones, rather than fuchsia. Nice and compact, with a lot of substance, but somewhat reserved. Very compact, full, very tannic, not quite integrated or supple. Tight on the mid palate, tannins and oak win the day, however, up to a spicy, inky finish. Second taste: tobacco, bouillon cube and marrow bone notes come up. For those that are wondering, I witnessed, and actually took part in, the whole tasting alongside Remy, and I can say for sure there was no funny business going on. The tasting was legitimate and totally above board, and our hosts were very gracious and generous. It is interesting to note, however, that they chose to put their wine alongside no other Cahors Malbecs. They only compared their wine to other wines they made, or to Argentinian Malbecs. When I tasted the Pigeonnier blind, I thought at oldest it was a 2007, it seemed young and tight to me. Totally impossible to distinguish it as coming from France, compared to the other Argentinian wines. The only wine I thought was interesting here was the 2009 Lagrezette. It was the only one that displayed the classic violet notes I’m looking for in a Cahors. Of course, it only had a few months in oak, and was destined to receive many more that will most likely kill off all of those subtle aromas. Of course, I hate new oak, so I’m pretty biased. Almost every Cahors we tasted was dripping with oak, and had no violet character, it seems to be what they’re going for. Nice to see that your hosts were gracious and helpful. I’m troubled to hear that Cahors is essentially in the same boat as the Montalcinesi when it comes to their more prestigious bottlings: More prestige = more oak. Brunello riservas are all about additional oak. I suppose, however, that there is a positive aspect of all this. The higher-oaked, ostensibly more prestigious bottlings are invariably more expensive. I’ll take a standard Brunello over its more oaky brother any day. The same goes for Cahors. Thank you Nick for confirming that the process was “legit” and for sharing your tasting notes. Evan and Kevin, you make excellent points about the worldwide oak situation. One could include Chile, Piedmont, some regions of Spain – and maybe some parts of Bordeaux? – as other regions that often equate cranking up the new oak with better wine. Now, sometimes, a great cuvée may be made with lots of new oak. As anything else in winemaking, nothing should be held as impossible. There’s always a particular bottle out there that will surprise you and throw your expectations out the window. But that, however, requires that the winemaker be totally attentive to the particular balance of a particular wine, not just a knee-jerk addition of oak to make “better” wines. You can add Piedmont to that list of areas cranking up the oak on better wines too. And not just the barolos. Even the sweet innocent barberas are getting crushed with it. I have a Pulenta in my stock but I haven’t tried it yet. I’ll try them out this weekend! :) Cheers! Just returned form a trip to one of my favourite parts of France (Dordogne and Lot) and was looking forward to re-establsihing links with one of my favourite wines from late ’80s and early 90’s there i.e. Lagrazette. However to my dismay after trying various vintages from 2007 on I was so disapponited to repeatedly be confronteed with clumsy oak and tongue shrivelling tannins. Where has the elegance, cherry fruits and those gorgeous hints of violet gone(S America maybe)? Defintely a case of where less could be so much more (that would include the price too)!